A new survey conducted by the UK’s leading extra marital affairs website IllicitEncounters.com has found that sales shopping is being used as the perfect excuse to cover up meeting with a new fling. Over 65% of the female members questioned in the survey said they were planning to slip-off to do some sales shopping as an excuses to get away from home, and spend some quality time with their secret squeeze. 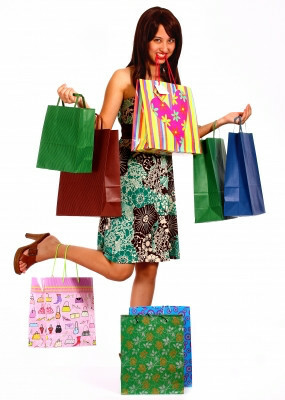 It seems it’s not only women who are taking advantage of this as it appears that sales shopping makes the perfect opportunity to get some time away, with the survey revealing that 58% of men plan to use the sales as cover for meeting their mistress. This year’s sales are expected to be the busiest shopping days of the year and high streets and shopping centers make the perfect location for a first secret date. There are countless coffee shops and bars to meet your new lover and the crowds make the perfect cover for secret liaisons. Illicit Encounters spokesperson Mike Taylor commented: “Sale shopping looks like it could be the perfect alibi for meeting with your secret tryst, it is a fantastically convenient excuse for some time apart from your partner. The need for this break from your partner is heightened during the stress of the Christmas period, which culminates in the New Year as January 5th has become widely regarded as the busiest day for people to start looking for an affair. The site has seen a huge uplift in new members joining over the festive period after being featured in lots of magazines in the run up to December and January. The site has also seen a boost in its female members after releasing a 2015 calendar of affair-seeking male members of the site in various states of undress. The survey was conducted with 2000 male and female members on the leading marital affairs website IllicitEncounters.com. The site has over 970,000 members in Britain, which is 6% of the UK’s married population. With This New Calendar Women Can Have A Different Married Man Every Month! 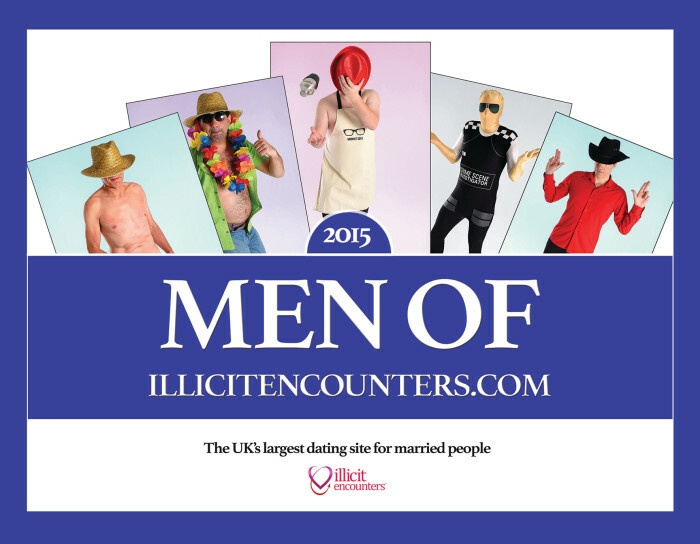 In a bid to attract new female members to married dating site IllicitEncounters.com, the married men of the site have been featured in their very own 2015 calendar. With nearly 1 million members in the UK the dating site is hoping showing off some of the their male members will encourage new female members to join the site. The site, which exists to help married people find an extra marital relationship is celebrating 2015 by producing its first ever calendar. The calendar features real male members of the site, who have carefully concealed their identity whilst showing off their physique. The calendar follows research from illicit encounters that revealed over one third of people believe they have married the wrong person and over sixty per cent of people wouldn’t think less of a friend if they where revealed to be having an affair. The Calendar is available to buy from www.calendarcheats.com and will make the perfect gift for someone looking to spend the year with exciting new men.